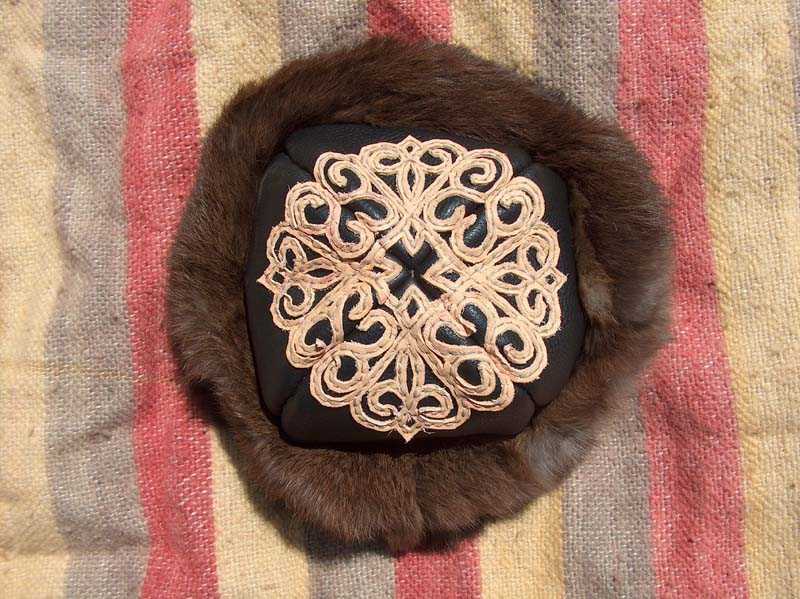 4.1 Leather applique on a cap. 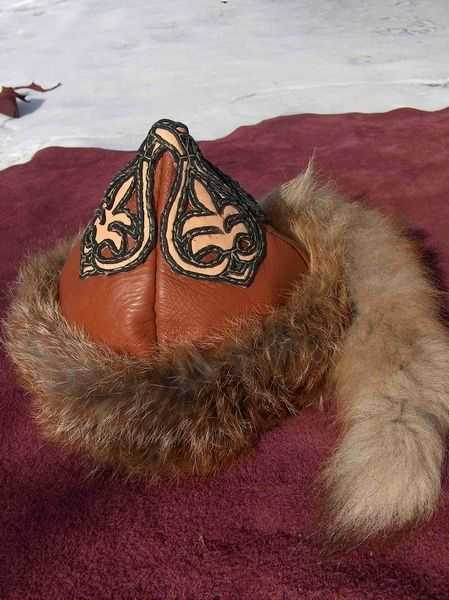 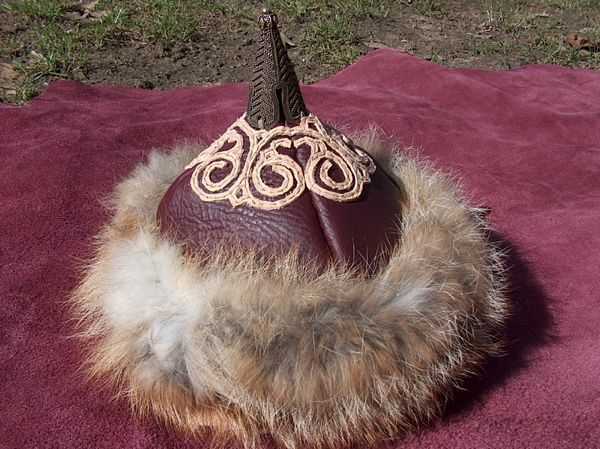 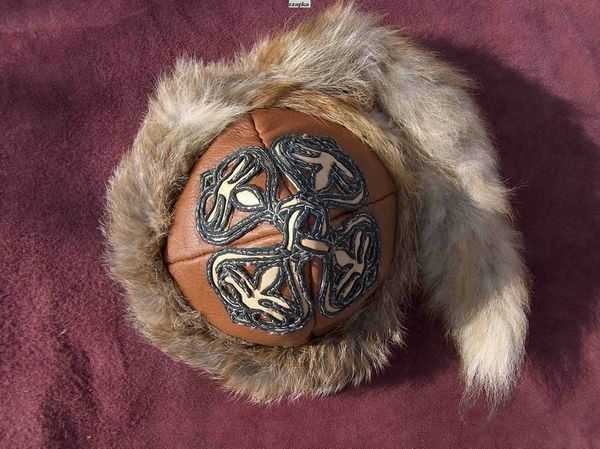 4.2 Leather cap with applique and a fox rim. 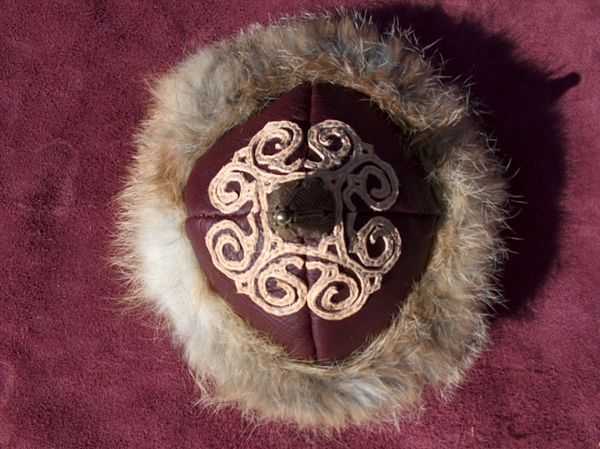 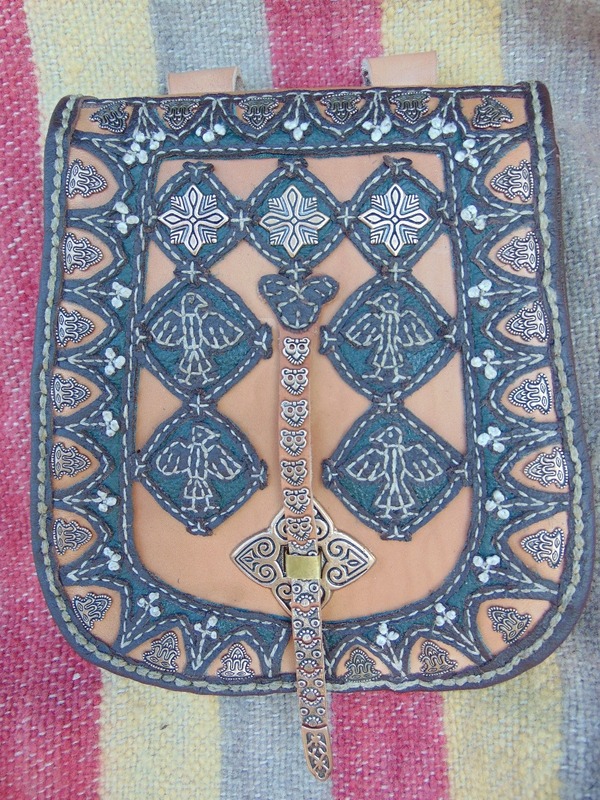 4.3 Medieval cap with applique and a bronze top.